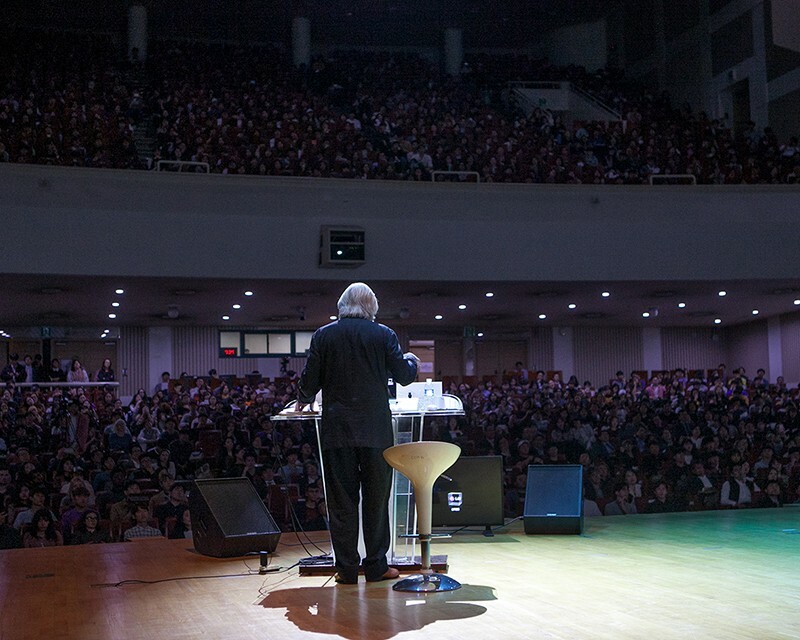 Steven Holl gave the 6th Presidential Lecture at Soongsil University in Seoul, Korea on Monday, October 1 to a crowd of over 2000 students, faculty, and esteemed guests. 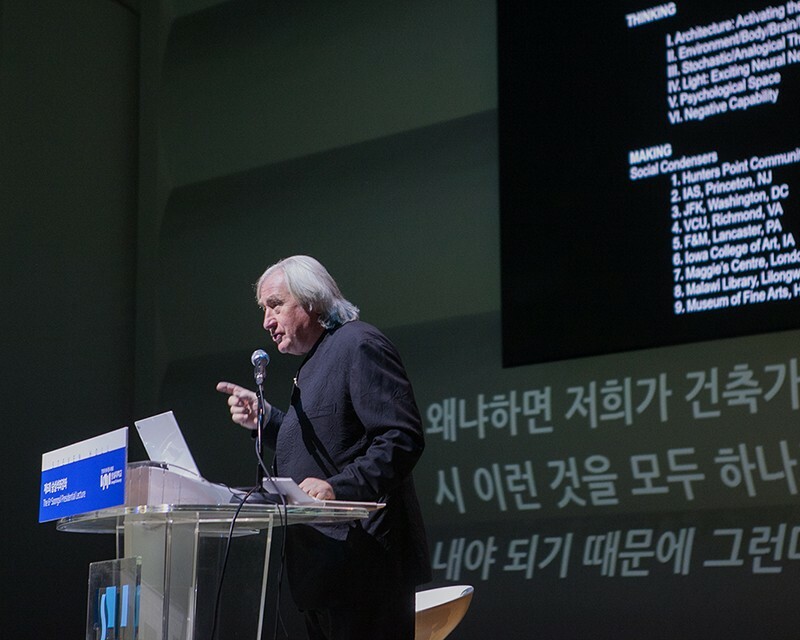 The lecture coincided with the opening of “Steven Holl: Making Architecture” in Seoul. 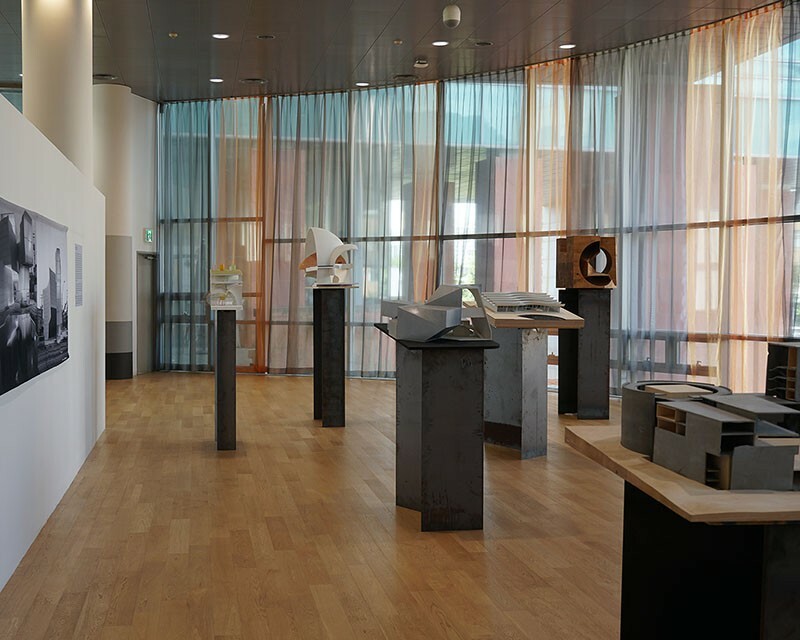 The exhibition examines the inextricable link between Steven Holl’s art and architecture. 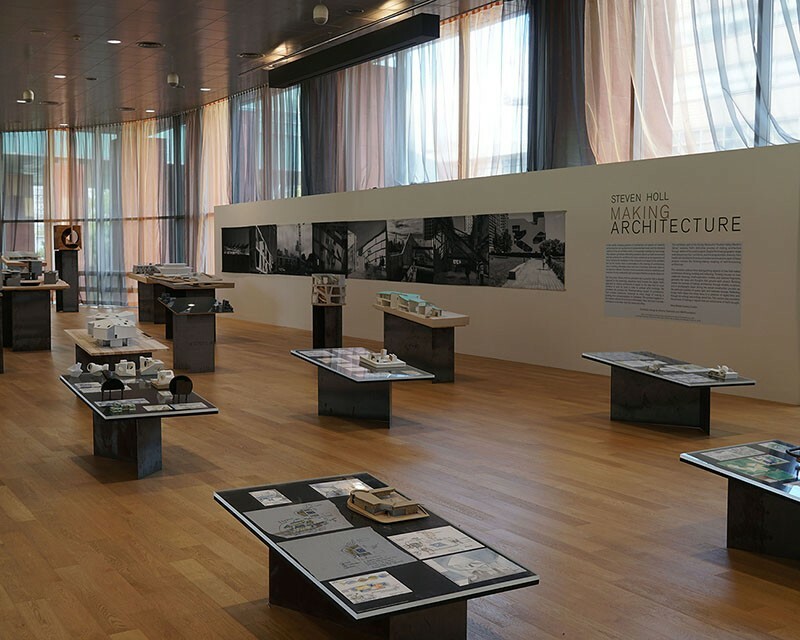 Visitors can explore Steven’s intricate and distinctive process of making architecture through approximately one hundred models and related sketches and other studies created for nine recent projects, among them the Winter Visual Arts Center at Franklin & Marshall College; The REACH at the Kennedy Center for Performing Arts in Washington, D.C.; the campus expansion of the Museum of Fine Arts, Houston; and Maggie’s Centre Barts in London. 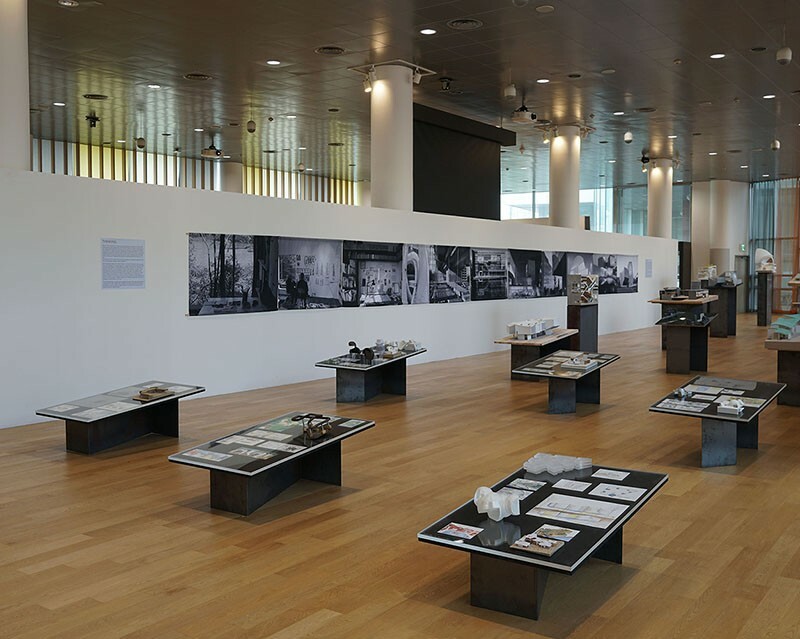 The show will move to the Seoul City Museum on November 9, where it will stay on view through January 11. 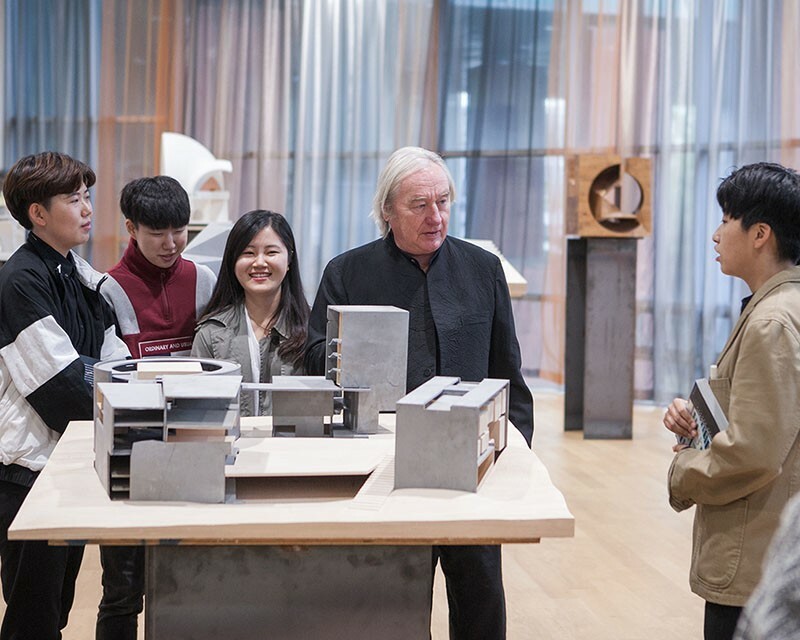 Learn more about "Steven Holl: Making Architecture" here.